Joseph Murphy advises clients on consumer financial services matters. 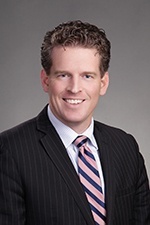 He has represented individuals and businesses facing a variety of claims, including those brought under the Truth in Lending Act (TILA), Real Estate Settlement Procedures Act (RESPA) and Fair Debt Collection Practices Act (FDCPA). A former in-house attorney for a national real estate title company, Joseph has a unique perspective when it comes to defending real estate and lending matters. Joseph's practice spans nearly a decade. He has represented clients throughout Massachusetts, New Hampshire and Rhode Island in litigation, consumer defense, real estate transactions, arbitration, corporate formations/purchases, collections and personal injury matters. In addition, Joseph was an in-house managing attorney at the headquarters of a national real estate title company. Following the completion of law school, he was corporate counsel for a national title company, where he advised a national client and its subsidiaries on a wide-range of legal matters.